There are a number of seminal quality control issues regarding Echinacea species plants, most significantly, differentiating the three primary species from each other. This assessment can be difficult due to each of these three species containing similar constituents, as well as the tissues having the same structures, making microscopic identification of powders almost impossible. Regarding efficacy and safety issues, there are controversies regarding proper dosing, which species or plant part to use, its short-term or long-term use, safety in pregnancy, or its use in in auto-immune disease, etc. 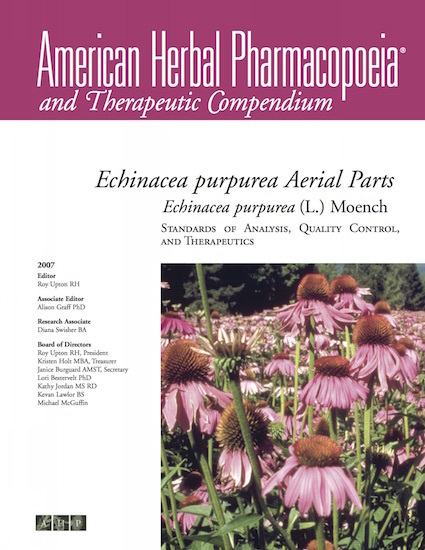 All of these issues are addressed and clarified in separate AHP monographs for Echinacea purpurea root, E. purpurea aerial parts, E. angustifolia root, and E. pallida root.